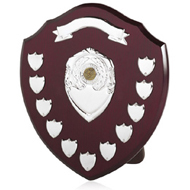 Our range of engraved trophies and shields which are ideal to be given as sports awards, talent awards and just general great work awards. 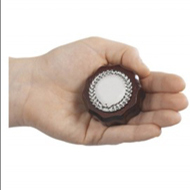 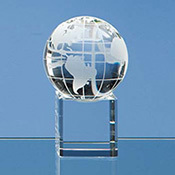 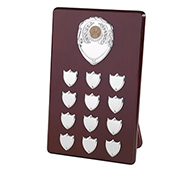 We have a wide variety of engraved trophies & shields which can be branded with your organisations logo, brand or message. 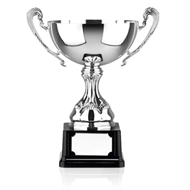 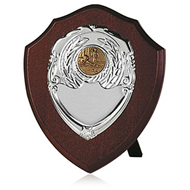 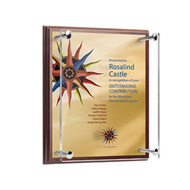 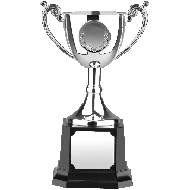 Check out our top selling engraved trophy, the traditional presentation shield, its ideal for sports events and sports days. 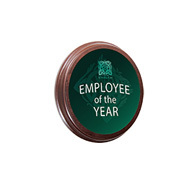 Metal Faced Plaques - 7" x 9"
Metal Faced Plaques - 8" x 10"
Round Award Plaque - 6"
Round Award Plaque - 8"
Metal Faced Pillar Plaques - 9" x 12"